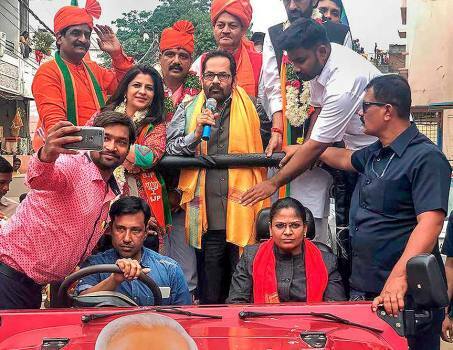 Union minister and BJP leader Mukhtar Abbas Naqvi along with party leader Shazia Ilmi campaigns for the party candidates, in Hyderabad, Telangana. 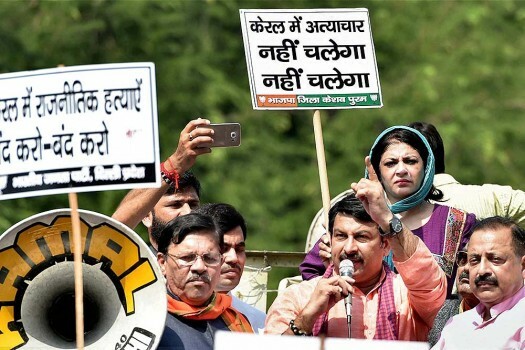 Delhi BJP President Manoj Tiwari addresses party workers during 'Jan Raksha Yatra' to protest the alleged murders of party workers in Kerala. Union Science and Technology Minister Harsh Vardhan celebrates Holi with Delhi BJP President Satish Upadhyay and party leader Shazia Ilmi at the party office, in New Delhi. BJP president Amit Shah presents a bouquet to former AAP leader Shazia Ilmi at his residence, before she formally joins the party in New Delhi. 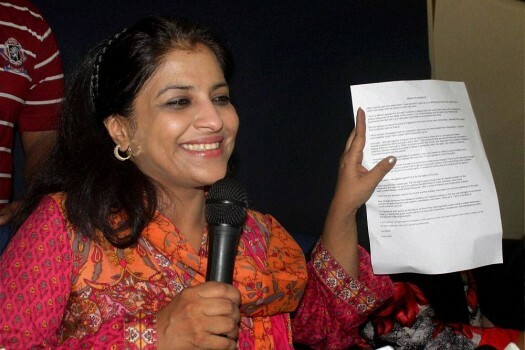 Shazia Ilmi, one of the founder members of the Aam Aadmi Party, showing her resignation letter at a press conference in New Delhi. AAP leader Shazia Ilmi during party convener Arvind Kejriwal's election road show in Varanasi. 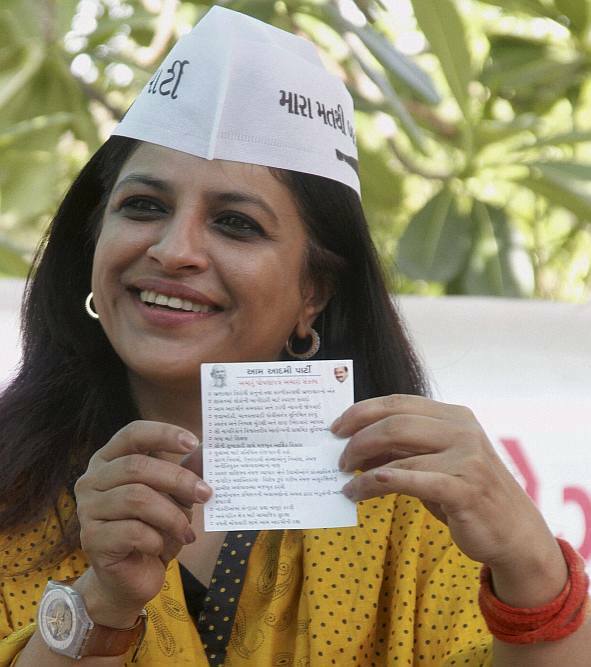 Aam Aadmi Party (AAP) leader Shazia Ilmi at a press conference at the party office in Ahmedabad. 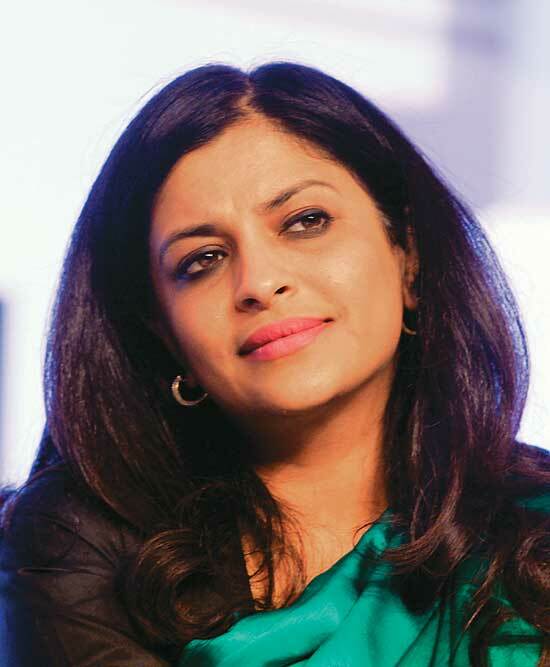 AAP leader Shazia Ilmi during a roadshow in Indore. 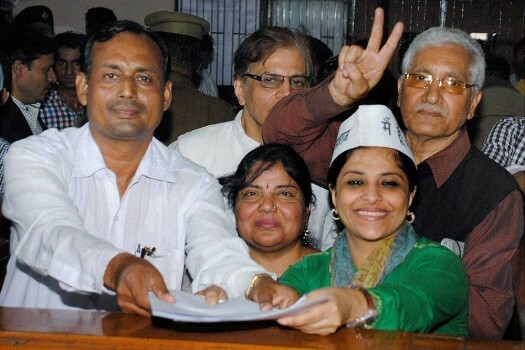 AAP candidate Shazia Ilmi filing her nomination papers in Ghaziabad. 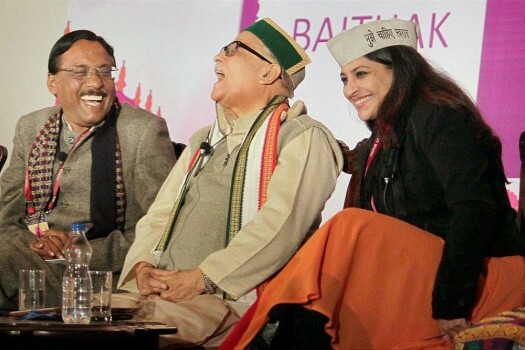 Writer Pavan Verma , BJP Senior Leader Murli Manohar Joshi with AAP leader Shazia Ilmi during the Jaipur Literature Festival in Jaipur. Carpe diem — that Latin phrase means ‘seize the day’. Omar, like a sharp politician did just that. He seized his last national opportunity to reach out to his political constituency at the time when elections loom large and when the hangover of clashes over Amarnath ceases to abate. The short speech managed to press the right hot buttons -- Muslim identity, Gujarat riots and Amarnath shrine land transfer debacle. Bingo — the speech was sharp and smart just like the much-focussed politics of Omar Abdullah and National Conference (NC). Nothing noble or lofty about it, as some would have us believe. August 27, 2006; The Times of India: “My biggest regret is that I did not resign when V P Singh was the PM and he sent that team’ In a stinging attack on Atal Bihari Vajpayee and L. K. Advani over the 1999 Kandahar hijack episode, former Jammu and Kashmir Chief Minister Farooq Abdullah accused the then Prime Minister and Home Minister of compelling him to release Jaish-e-Mohammad founder Maulana Masood Azhar for which the “world will pay the price”. Abdullah, whose son Omar Abdullah was a minister during the NDA coalition’s rule: “I told Advani I am going to the Governor. 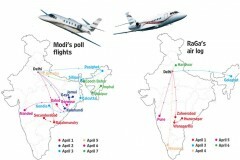 And I went to Raj Bhavan with my resignation,” the then Chief Minister said. He, however, did not resign. Wanting to resign and not quite being able to do is an art the National Conference has mastered. On the Gujarat riots, Omar insisted he should have resigned and he almost did, but not quite. Be it the kidnapping of Rubaiya Sayeed , the Kandahar crisis, autonomy resolution for the state or the Gujarat riots, both Omar and his father have always managed to stop short of resigning! The pricking of their conscience in each case is almost always a tad late. Is His Story Playing Out As Farce? Kejriwal’s ministers should have caused him embarrassment. 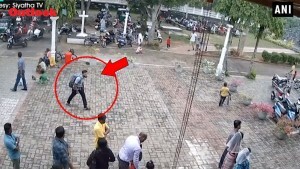 Did he outdo them? 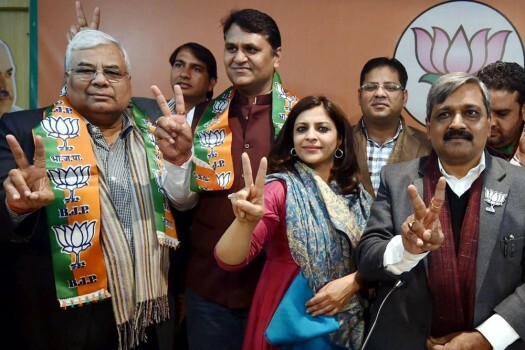 Delhi done, can AAP repeat its success on the national stage?